The counting of votes for 182 assembly seats in Gujarat is underway. The 'battle of Gujarat' between Congress and BJP will come to an end later in the evening and it shall be clear as to which party has the numbers to form the government in the state. As per the early trends exhibited by News Nation, the BJP holds the slender advantage over its arch rival Congress, leading in its traditional strong vote bases of North and Central Gujarat. However, it is a neck to neck fight btw the two rivals in Saurashtra and Kutch regions. Congress looks to have made significant inroads into the BJP pie in the rural areas of Gujarat. 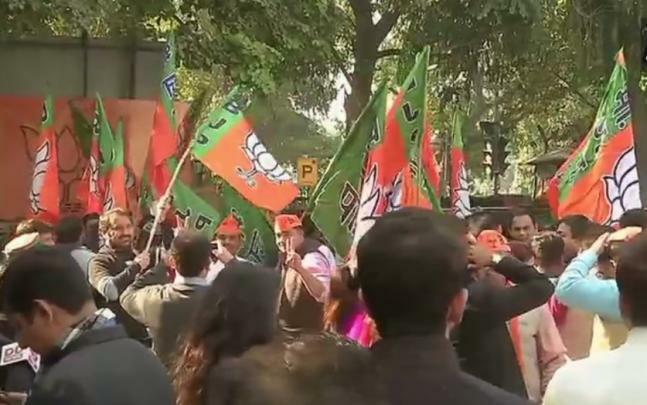 BJP’s workers began celebration at party HQ, as trends indicate BJP’s victory in both Gujarat and Himachal Pradesh Assembly Elections. 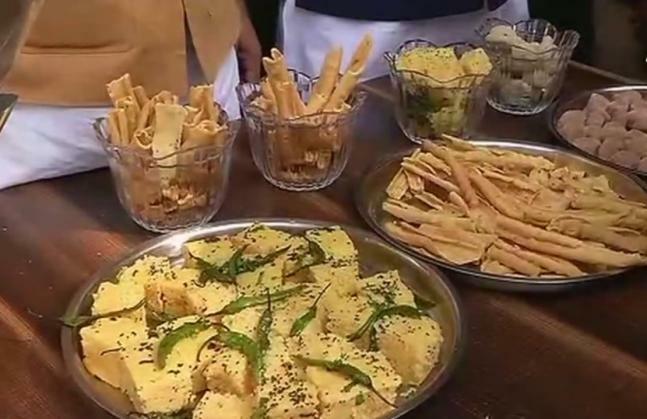 BJP celebrates at party office in Bhopal; serves Dhokla, Phafdas and other Gujarat dishes, as trends indicate BJP’s victory in both Gujarat and Himachal Pradesh’s Assembly Elections. 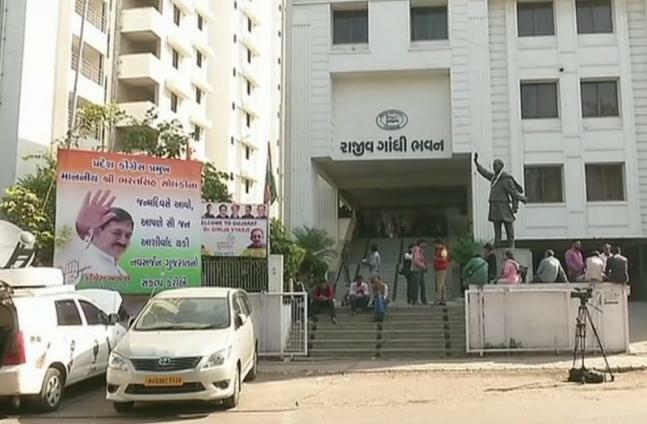 However, Congress office in Ahmedabad seems vacant and there is no celebration, as trends indicate BJP’s victory in the Assembly Elections. 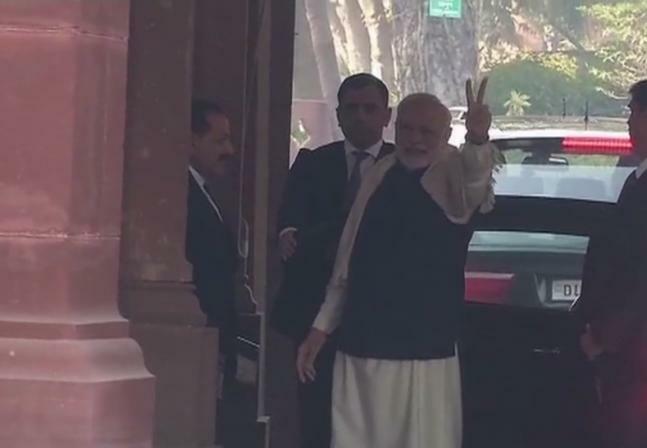 Ahead of the final verdict, PM Narendra Modi flashes victory sign as BJP takes unassailable lead in Gujarat and Himachal Pradesh’s Assembly Elections.